As we're currently in the throngs of awards season, studios are combing through movie reviews to find the most beaming critiques to place in new "critics" TV spots to promote their films' Oscar clout -- look at ones for 'Gravity,' 'Dallas Buyers Club' and the like. Well, leave it to 'The Muppets Most Wanted' to come up with one that puts all the rest to shame. In the latest TV spot for 'The Muppets Most Wanted,' a voiceover accompanied by uplifting music reads off some pretty stellar tweets. Just the prospect of hearing a Mr. Moviefone-esque voice dramatically reading "I'll prolly go see that" and "#Muppets4Life #IAmAwesome #YOLO" is funny by itself, but the actual TV spot is one of the funniest displays of marketing we've seen in a while. 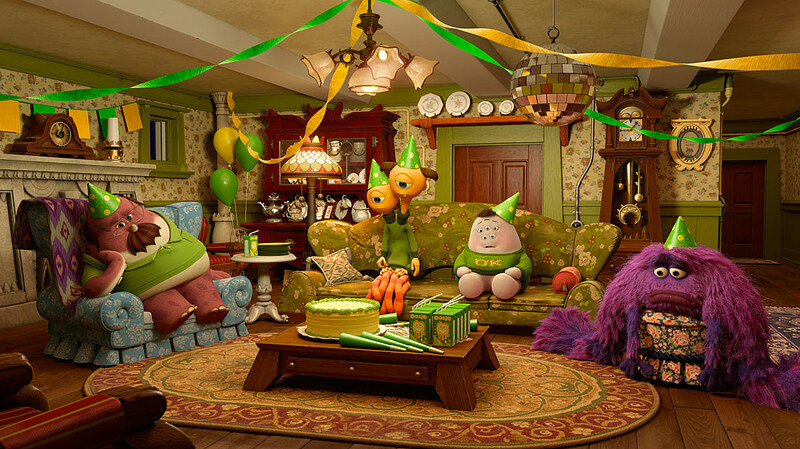 In addition, Disney and Pixar revealed that their 'Monsters University' short film, 'Party Central,' which was revealed at last year's D23 Expo, will make its premiere in front of 'The Muppets Most Wanted.' EW got a hold of the first look of the short, which sees freshman fraternity OK trying to throw the biggest party of the year while a competing frat throws a rager next door. How will they pull it off? Let's just say they'll need Mike and Sulley's assistance. 'Party Central' and 'The Muppets Most Wanted' hit theaters beginning on March 21.